For a time now I have been a fan of the 601 line of cigars, manufactured by United Tobacco (EO), and skillfully crafted by Don Pepin Garcia. Whatever the reason, I admittedly have been stuck on the Black Label and am only now getting around to sampling the well respected Green Label. Upon first blush the Green Label strikes you as a well groomed, hefty cigar; with its Nicaraguan Habano Oscuro wrapper inviting… No, tempting you to cut, light and enjoy. 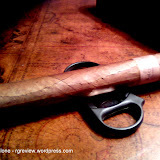 I found the 601 GL to sit firm in the hand, boasting a boldness I prefer in a cigar. 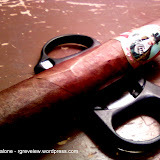 I also should point out the La Fuerza tips the scales at 5.5 x 54; just the right size for a late evening smoke. Pre-light, the 601 GL made good on its every promise; offering a clean cut of the triple cap, easy wide open draw and enticing pre-light aroma that suggested hints of mahogany. Completing the visual detail of this fine cigar is the impressive 601 band; gold emblem set atop the blackish, green base. You cannot help but feel a sense of inner-royalty while holding this quality stogie. My initial couple of draws greeted me with the customary DPG spice and full billows of heavy smoke. The spice, however, I was surprised to find, subdued itself very early on and only played a minor role for the duration of the smoke. 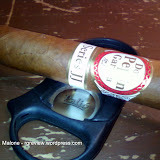 While neither positive or negative, this is something I’ve not usually experienced in a DPG cigar. 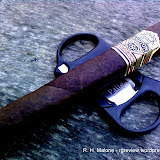 Also surprising, was the refreshing crispness that came through on every draw for at least the first half of the cigar. I’d liken this to be much like fresh citrus on a hot summer day. The 601 GL settled into a jazzy smoothness with flashes of cream and very light coco for the remainder of the smoke. Admittedly, this is not what I would have anticipated just by looks alone. 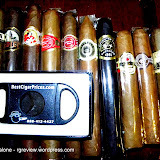 However, I found it to be a welcomed change from the other cigars in the 601 line; which tend to be (for me at least), more aggressive in their flavor profiles. 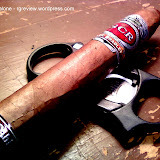 I haven’t a single complaint of this cigar producing a steady, even burn; easy draw and light flavor notes throughout. 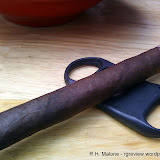 But then again what else would one expect from a 601 cigar? 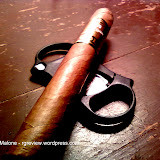 Truth be told, the 601 GL would make for a great cigar any time of day and for any occasion. The next time you get a chance to try a 601, if you’ve not done so already, might I suggest you sample the GL as I’m sure you’ll find it among one of your favorites.